SriCity is an industrial estate with development area of more than 7,500 acres located in the suburbs of Chennai, Andorra Pradesh State and Tamilnado State. Four different harbors and international airports are in close proximity and excellent access to the main logistics hub in South India. 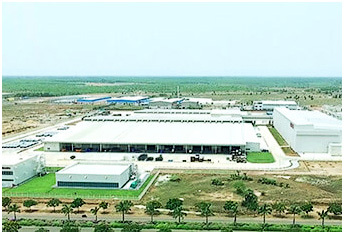 In addition, because of active support of Government of Andhra Pradesh State, many enterprises are selected as industrial estates to be advanced as they can enjoy abundant benefits and shorten the time to obtain various permits and approvals.